GEORGE HARRISON! THE PHOTOGRAPHIC HISTORY! GEORGE HARRISON! MY PERSONAL DEDICATION! THIS PAGE HAS BEEN RENAMED - "GEORGE HARRISON! THE PHOTOGRAPHIC HISTORY! "....DUE TO THE FACT THAT THIS SITE WILL HAVE LOADS OF GEORGE PHOTO'S BY THE TIME I COMPLETE IT! THERE ARE ALREADY 26 PAGES OF PICS, SO PLEASE ENJOY!.... ____________________________________________________________________________________________________________________________________________________________________________________________________________________________________ George! The quiet Beatle! But, actually a man of intelligence, great talent, & a very in-depth heart & soul! Yes, George is known as the spiritual Beatle. But, it crosses my mind if he should be still known as "A Beatle? There has been so much more to his life since the breakup of the Beatles that I personally picture him as his own man...George Harrison! Personally, I was always attracted to his songs even when he was with the band. Then, when he went solo, he was extremely successful right away. His writing talents, distinct "George" voice, unbelieveable guitar talent, along with his delievery of his music - make him a "MASTERPIECE"! But, then if you are on this website - you already know this! I was only a young girl when the Beatles were on the Ed Sullivan Show, and I recall it to this very day! Even then, I developed a huge crush on George that has really lasted all my life. (If I may be so honest) As George grew and changed, we young people were following. It just seemed natural to buy every book that had anything about him, or every album he released. Then, to try to explore the spiritual realms he was involved in was interesting. He is a man to be respected and admired, and definitely loved. Perhaps he was not a controversial name, but he seemed to carry a sense of peace, & the ability to share love with a glow that could not be denied. It was obvious he had compassion for others when he did his historical benefit concert for Bangladesh. He helped nurture me through terrible times in my life with his re-assuance that "All Things Must Pass". I always sing the song Here Comes The Sun to this day, as it just simply brightens one's day. 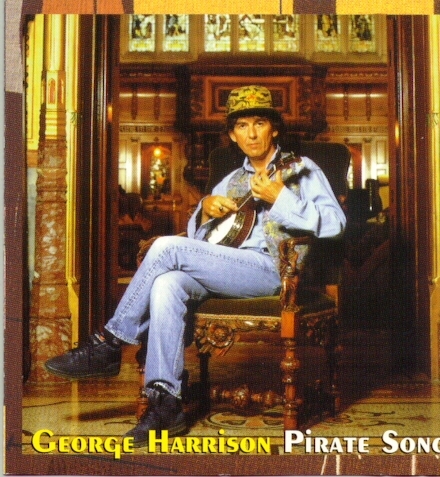 George has continued his musical career even unto this day. I will attempt to bring you as much information on George as I can throughout my website. I will explore his history - past, present, and future plans. I will definitely be providing you with as many pictures as I can get my hands on. So, as I develop/create this site...keep coming back, because it is sure to grow into a shrine! Please enjoy my pages. HOPE I CAN BRING A LITTLE BIT OF SUNSHINE TO YOUR DAY THRU GEORGE! PEACE! >>>CLICK HERE FOR NEXT PAGE! THE LAST FEW PAGES ARE BEAUTIFUL PHOTOS OF GEORGE, SO MAKE SURE & SEE IT ALL! THE BEST IS LAST!